Regional Office (Regional Office) Directorate General of Taxes (DGT) Bali socialization campaign reporting annual notification (SPT). Socialization as an IRS effort to arouse the awareness of taxpayers (WP) to report on the SPT-nya. Dan after SPT socialization campaign reporting , will be held SPT charging socialization throughout Bali on February 23. The campaign is carried out in 23 points in Bali. Head Office of the DJP Bali Yoyok Satiotomo work directly distributing leaflets and brochures to WP convey its SPT. “Simultaneously we do dissemination campaign reporting delivery of SPT in 23 points made by IRS employees,” said the Head Office of the DJP Bali, Yoyok Satiotomo, Friday (19/2) yesterday, during a campaign event reporting SPT delivery socialization. Annual reporting campaign was conducted by distributing leaflets and brochures to motorists. Mentioned, trying to simplify the tax payers to pay taxes by issuing 177,044 form. 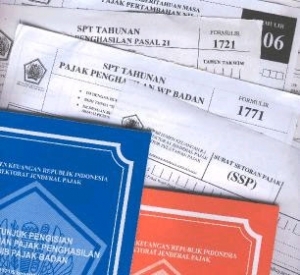 According to him, 1770SS form for personal tax payers earning less than Rp 60 million is very easy and simple. “Form was only one sheet.